The white paper "Making the Shift from Relational to NoSQL" is no longer available on Infoq.com; However we invite you to explore the related content below. Download this report to learn about Ransomware as a Service, repercussions of a breach or attack, and how to test your recovery plan. Learn also key steps to creating a defence in depth security strategy and how to prevent ransomware problems with API-driven data management. 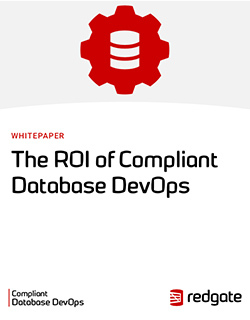 Discover the business value to be gained from Compliant Database DevOps and how to calculate its ROI. 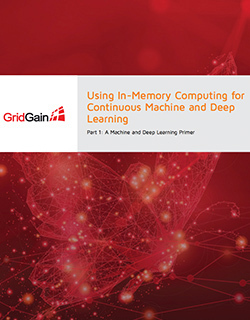 This eBook, the first in a five-part series, examines the differences between machine and deep learning, the challenges associated with machine and deep learning, and how in-memory computing addresses these challenges. 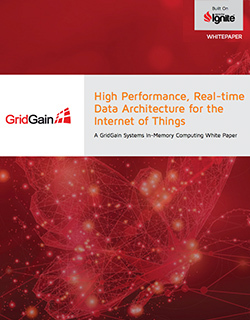 This white paper explains some of the most common use cases and challenges associated with the real-time processing and storage of IoT-generated data; the common technology components, including in-memory computing technologies; and how they fit into an IoT architecture. There are many Oracle options for adding speed and scale to an Oracle Database. But when speed and scale really needs to be addressed beyond the database layer, the best long-term approach is in-memory computing. Learn more about in-memory computing options for your Oracle database deployment. 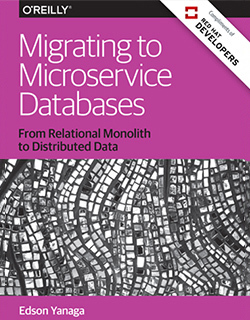 Learning how to deal with your monolithic relational databases in a microservices structure is key to keeping pace in a quickly changing workplace. Author Edson Yanaga takes you through nine different strategies for integrating data from your monolithic application to a microservice architecture.